When the Nazis wanted director Fritz Lang at the head of German film production in 1932, and simultaneously warning him that some of his latest social commentary was not to their liking, he quickly decided to leave the country. With classics like Metropolis (1927) and two Dr. Mabuse films (Dr. Mabuse, the Gambler parts one and two (1922) are at the Internet Archive, although of uneven technical quality), Lang had revolutionized the visual style of German cinema, creating for himself not only a name as one of the leading German Expressionists, but also a place in cinematic history. After leaving Germany, however, he spent over two decades in Hollywood making films that, while usually well crafted, were unspectacular compared with his earlier masterpieces. 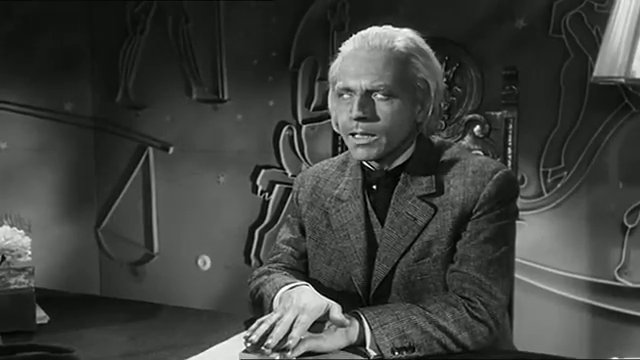 So when I found at the Internet Archive Die 1000 Augen des Dr. Mabuse, Lang’s final return to both his successful Dr. Mabuse character and to his home town Berlin, I was naturally filled with anticipation. In fact, this was not only Lang’s last Mabuse film, but his last film of any kind. Lang was by this time almost 70 years old, utterly disillusioned and nearly blind. Yet his final effort is a good one. 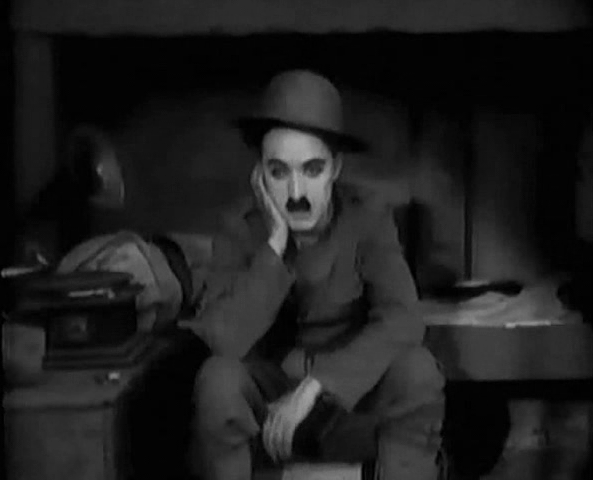 Not at all on the same level as his best silents, but at least on par with his best Hollywood productions. The film is not only interesting because of Fritz Lang’s involvement. Far from it. The actors are good, Gert Fröbe in particular, and the scenography is nice. Camerawork is uneven, but lighting is very good. Most of all, however, the film fascinates because of its Big Brother theme. 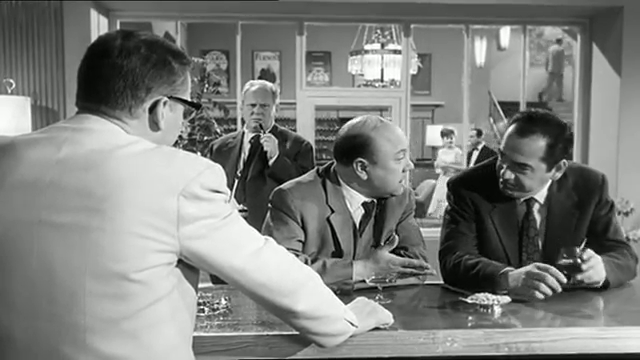 Most of the film is set in a hotel where spy cameras and one-way mirrors abound. Die 1000 Augen des Dr. Mabuse was a success upon its release and was followed by five more Mabuse films in quick succession. Thus, the film marks not only an end, but also a beginning. Lang, however, was retired and apparently had no hand in any of the sequels. All of them can be found at the Internet Archive, so I may return to the series in the future. This film is best enjoyed if you are good at German. There are no subtitles available at the Internet Archive, and I have found none elsewhere. This week marks the 25th anniversary of the TV show Mystery Science Theater 3000 (commonly known as MST3K). The show’s premise is that a man has been captured by an evil scientist, the obvious plan of whom is to find the worst movie ever, and use it to numb the minds of all humans. So in each new episode the man, together with two robots, is forced to watch one more B movie. The TV audience see the same film, but in the foreground we see the three beings watching, and we hear their comments. MST3K became a cult favourite, and it was very good in many ways. It was funny, thought provoking and highly original. Even so, I dislike watching it. But why? The show’s problem is that not every movie featured is rotten throughout. In fact, a number of them are really good, but when you watch them through the MST3K filter (especially since some films have been cut to fit the show’s program slot) they become bad. And people who have seen an MST3K episode unreflectingly assume that they watched a bad film. By all means, there is certainly opportunity for satirical snides at Rocketship X-M, which is the subject of today’s post, and which opened MST3K season two in 1990. But Rocketship X-M was also a unique and inventive film, with many interesting qualities. Decades before the term was invented, Rocketship X-M was an early “mockbuster” (possibly the first). It was produced extremely quickly in order to beat George Pal’s Destination Moon to the theatres, and ride on its marketing. The budget was only about one fifth of the Pal movie. Because of the fast production, there are a few really stupid moments in the film, not least so in the noticeable lack of all scientific sensibility. 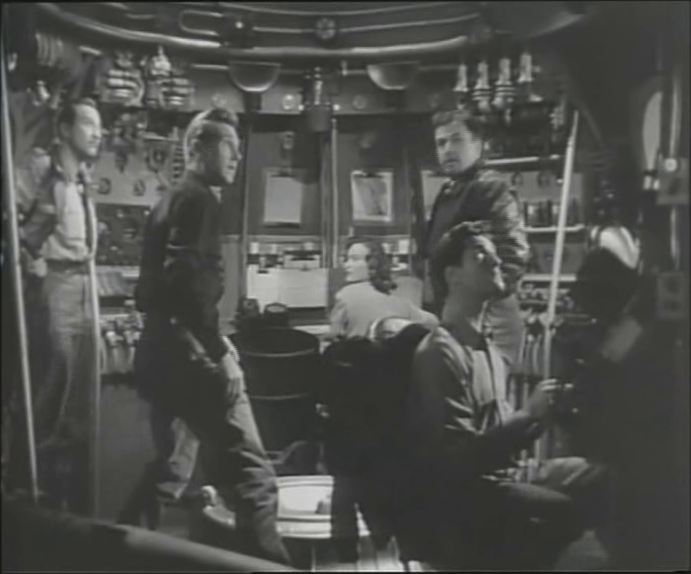 The successful race against Pal’s movie made it the first outer space movie after World War II. It thereby became the masthead of the long range of sci-fi movies that followed in the coming decades. I have written in connection with Battle Beyond the Sun about the way that the Cold War was reflected in many of these movies. Rocketship X-M is no exception, but it is not the communist fear that is the driving force here. 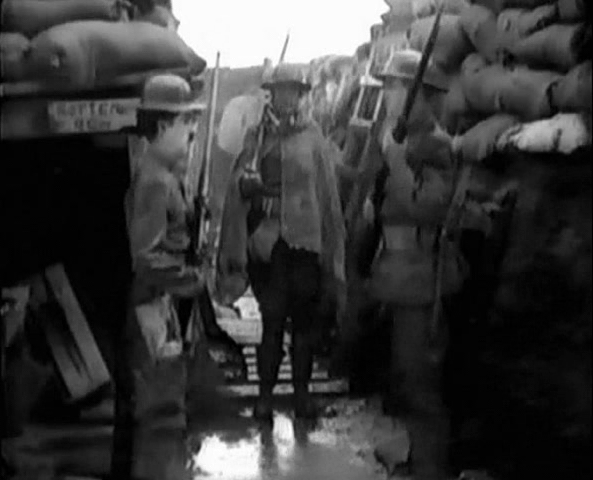 Rather it is an anti-war analogy, said to have been the first film to fictionalise the effects of all-out nuclear war. 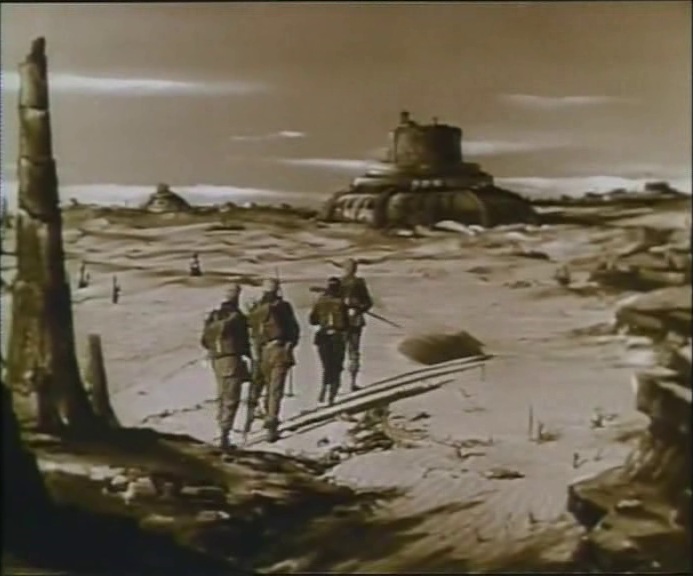 It was also the first science fiction film with electronic music in the soundtrack. Composer Ferde Grofé added a theremin to the orchestration, for excellent effect. The theremin was later used in many sci-fi movies, including The Day the Earth Stood Still (1951). Rocketship X-M was the first American movie to feature a female astronaut. This, however, does not earn it a place in the history of movies questioning traditional gender roles, since the only reason to include Danish actress Osa Massen (except maybe for her good looks) was to tell the message that a woman’s place is at home, not aboard a spaceship or even in a laboratory. This sexist crap would be disturbing to say the least, except the film is over 60 years old, so I mostly find it a little amusing and somehow touching. The film also has a very interesting ending, unexpected and certainly not standard Hollywood. This, too, makes it worth watching. This film is best enjoyed in its original clothing (or the 1970s recut, which I believe is the one available at the Internet Archive), not the MST3K garb. Tarzan is often mentioned as one of the most iconic literary characters of the 20th century, after Sherlock Holmes and maybe Dracula. But Holmes and Dracula were both created in the 19th century, so perhaps Tarzan is the most iconic literary character to emerge during the 20th, disregarding comic characters such as Superman. Today, when you think about Tarzan on the silver screen, you probably think first about Johnny Weissmuller, who played the ape man through most of the 30s and 40s. Starting with his films, and continuing for decades thereafter, the movies were not based on any of the books written by Edgar Rice Burroughs. Indeed, even the characters barely resembled those in the books (Boy and Cheeta were never in the books at all). But the existing film of only an hour is too short. You can feel the incoherence caused by the heavy cutting. Some films really deserve to be restored to their best possible versions. But restoration is expensive and time consuming, so for now we will have to settle with the butchered version. The one-hour version at the Internet Archive is the longest extant version known to me (there are commercial releases with better music and image quality, but the same content). Yet, it can be assumed that other surviving versions contain material not used in this one. The best example is a 1937 cut of the first half of the film (Tarzan’s childhood) titled Tarzan the Boy, which was up for sale a while ago on eBay. Then there are rumours about a 73-minute version, and there are probably others. Even though a complete version may never be found, it should be possible to do considerably better than what exists at present. The casting in the film is not exactly great. Even Edgar Rice Burroughs himself was said to be dissatisfied with Enid Markey as the young and beautiful Jane, and while Elmo Lincoln is certainly muscular enough, he does not exactly look like he could suddenly jump into a tree and start swingning away. Rather, he is lumbering around in the jungle. In fact, another actor, the Swede Stellan Windrow, was originally cast for the role, but he was drafted when shooting had only just begun. It is him we can see in some of the scenes where Tarzan swings through the trees. 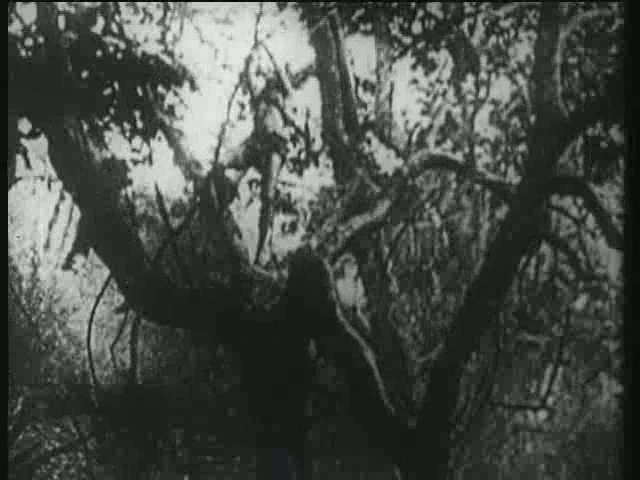 The film was shot in the swamp jungles of Louisiana. A documentary was recently made about the filming. I have not seen it, but it is said to be very good. This film is best enjoyed if you are unfamiliar with the original. It really is a great story, and this first filming tells it better than most later ones even though some liberties have been taken.